Few doubt that the fall of the Berlin Wall is the event that closed the Cold War era and brought in the twenty-first century. Like every event in history, this one also has its founding myths. Michael Meyer recently wrote a book, The year that changed the world: the untold story behind the fall of the Berlin Wall. He addressed the triumphal misunderstanding of history that led the United States into some of the most intractable conflicts it faces today. Michael Meyer was in East Berlin on 9 November 1989. He was Newsweek’s Bureau Chief for Germany and Eastern Europe. Today, twenty years later, most of which spent as a reporter and the last two as chief speechwriter for the UN Secretary–General, we asked him to tell us about those days. Meyer’s work at the United Nations allows him to look at the fall of the Berlin Wall from a different angle. The founding myths of the new century are called into question, with surprising and far-reaching consequences: what if the Cold War did not really end with the fall of the Berlin Wall? Reagan asked Gorbachev to tear down the Berlin Wall in a famous speech in 1987. About two years later it happened. The Cold War ended, the US won. This is the mainstream story told by the West. But what remains untold twenty years later? History evolves and it is not uncommon for people to rewrite history. The Cold War was big, it touched everyone’s lives. When I was a kid we practiced what we called ducking and diving under our school desk: if a nuclear bomb is about to fall what do you do? You dive under your desk to protect yourself. The Cold War apparently ended twenty years ago with the fall of the Berlin Wall, but everything so big takes a long time to work through. A lot of people still look at the present through the lens of the past. The war in Iraq was in some ways an extension of a Cold War view of the world. In the book I argue that we did not understand how the Cold War ended. We thought it was Ronald Reagan standing tall against a dictator: the people rise up, the dictator falls, democracy is triumphant. This is a very simplistic view of history. Following this perspective it is difficult to understand, nowadays, what happened in Iraq, where it has become clear that building a democracy is a lot more difficult than knocking down a dictator. You were there on 9 November 1989. What do you remember from that day? I was on the East side of Checkpoint Charlie. In fact, the wall went down as a result of a messy human accident. There was a press conference and a party spokesman was reading out the new rules that would allow East Germans to travel. They decided to give people passports, but, of course, subject to a series of rules and regulations. However, a journalist at the press conference asked when this would have taken effect and as the spokesperson did not receive guidance from his superiors, he said “immediately.” East German authorities were not prepared for that, but by the time the news had spread out, hundreds, then thousands of people went to Checkpoint Charlie to cross the border. They told the police that they were free to go, as the radio said so. The border police did not have instructions, it tried to reach some of the higher officials, but it was late evening and many of them were out. Finally, they decided to open the doors and this was the beginning of the fall of the Berlin Wall. You say that Bush’s mistakes in starting the Iraqi war are founded in the myths coming from the fall of the Berlin Wall. He had the idea that all totalitarian regimes can crumble with a shove from the outside. On the other hand, in your book you demonstrate that the revolution in the East started from the inside. How? If you are an American of a certain political persuasion, you think that the Berlin Wall fell because we sent the Soviet Union into bankruptcy and we confronted them. The lesson drawn is that this is a type of foreign policy that works, anywhere. But if you were on the ground you saw a series of revolutions from the ground up. The people who pushed the communist regimes on one side and the reformers who gave communism a human face on the other were fundamental for political change. What seeds of democracy did you find when you arrived in East Germany in 1988? “We will step down”, he said, as if it was the most normal thing in the world for a communist regime. The greatest paradox of the East is that the person doors to transparency, freedom, and ultimately also democracy is not only a prophet who was never respected in his own home country, but was sometimes even considered the main person responsible for all that went bad in Russia after 1989. Why? Gorbachev was by far the man who made the most difference. He wanted to create a third way, socialism with a more human face, and he was an immense humanitarian. However, once I asked a Russian general what he would have done differently, he said: “Put a bullet in Gorbachev’s head after his first visit to Germany.” Gorbachev was a socialist to the core, I met him several times and he had no idea of the depth of what was happening and how quickly things would slip away. 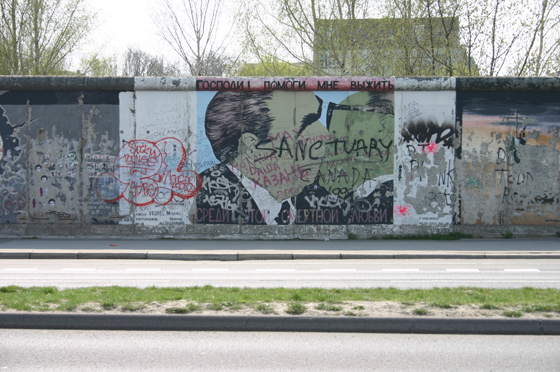 The fall of the Berlin Wall and the end of the Cold War were seen as one of the greatest opportunities in human history for peace and development. However, in the last twenty years military expenses and deaths in conflict regions have increased. Did we miss this opportunity? People talk a lot about the end of the Cold War. It is misleading. Yes, East-West tensions declined dramatically. The world is no longer divided between East and West, but the institutions that were put in place during the Cold War have not disappeared. You don’t end four decades of military investments overnight. Governments who came into power during the Cold War era did not just disappear. People’s frames of mind do not change overnight. The military industrial complex built during the Cold War did not go away. So, do you think the Cold War is still with us? Its rubble has not left us, it was too big. I think it will take more time to completely end the Cold War. * Francesco Candelari is the UNICRI Liaison Representative to the UN Headquarters.